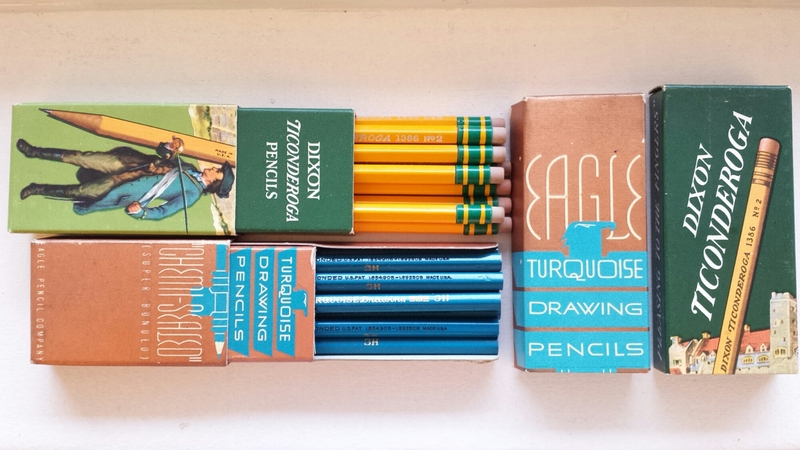 Nowadays colored pencils are used mainly for coloring, and come in soft and blendable textures. 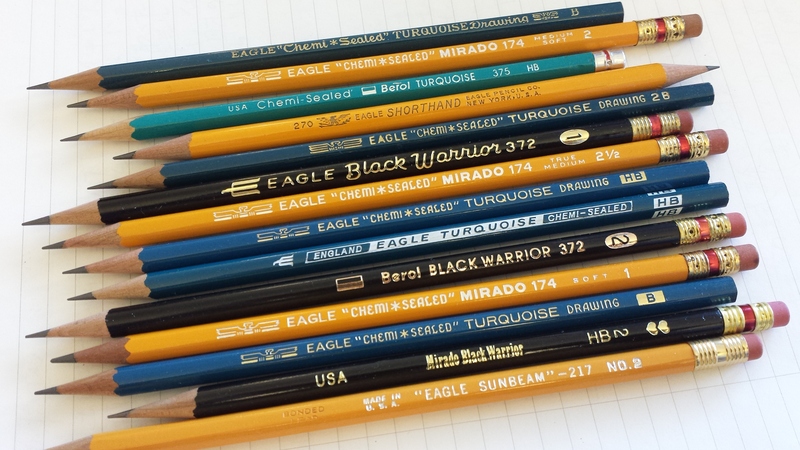 But since I began this blog, I’ve discovered (belatedly, because I wasn’t the kind of person who wrote with colored pencils) that in the past, colored pencils with harder cores were widely available for office use. 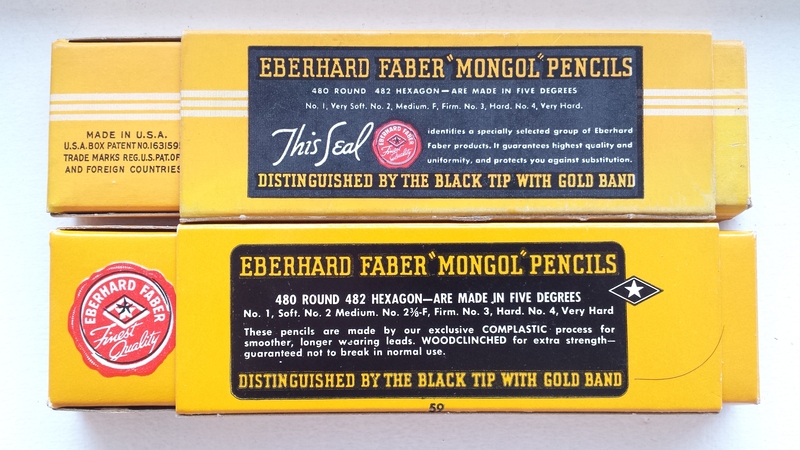 They performed the functions that would have been done with colored ballpoints or gel pens later on. 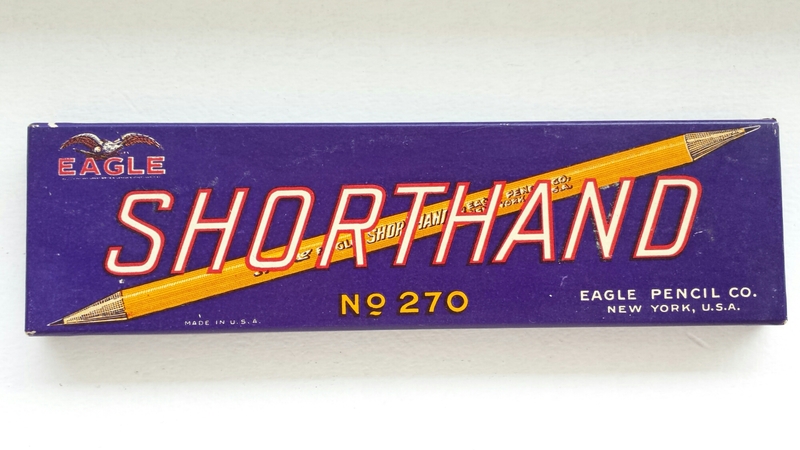 Vintage ads promote the Colorbrites, for instance, as the “thin colored business pencil” that keeps a sharp point for a long time, and which needs only a “feather-light touch” to write with. 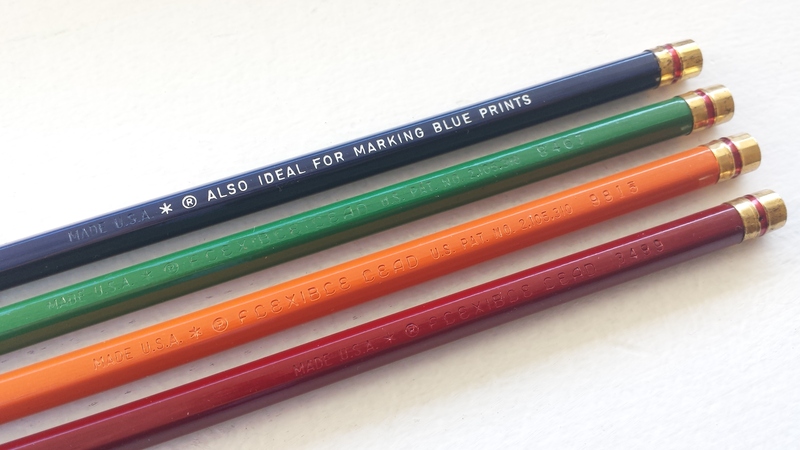 Visual cues help differentiate coloring pencils from writing pencils: the former is usually (well, not always, but usually) round-bodied and often oversized, while the latter is hexagonal, has thinner cores and is of the same thickness as regular graphite pencils. 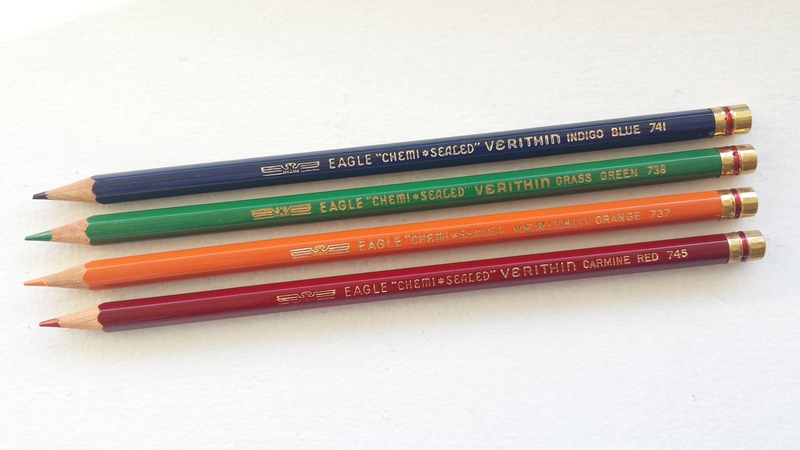 The Verithins are alive as part of the Prismacolor colored pencil line for artists, whereas most of its competitors seem to have disappeared. 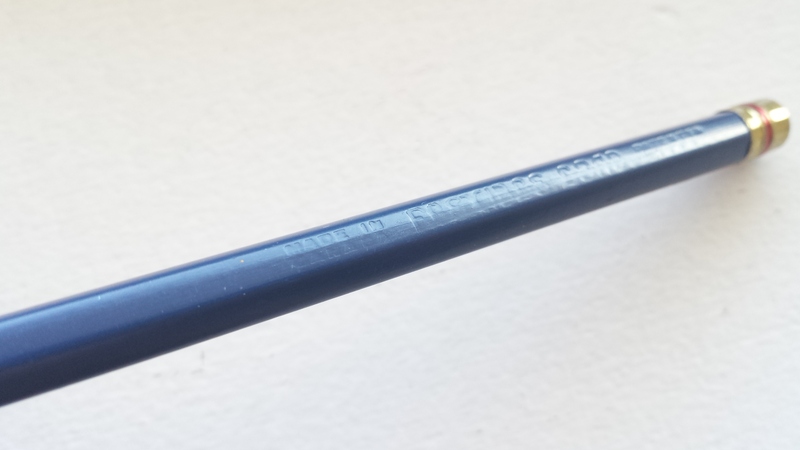 The below is a Canadian specimen I scored at a local art supply shop; it has a very faint “Made in Canada” imprint and the same “Flexible Lead” mark as found in the older Verithins. 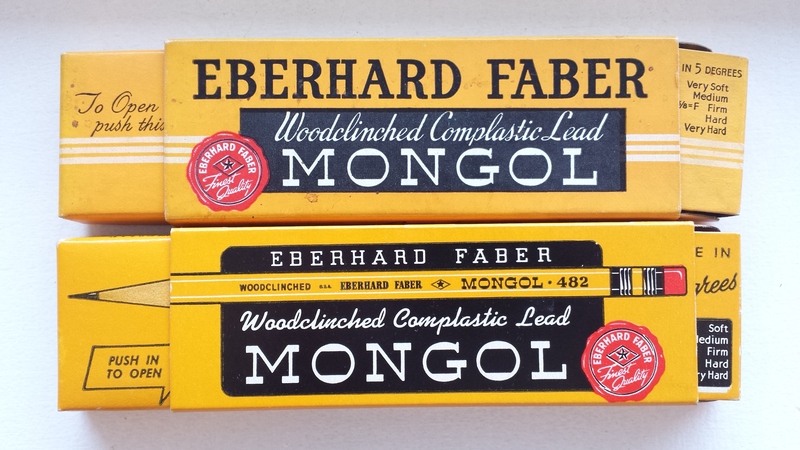 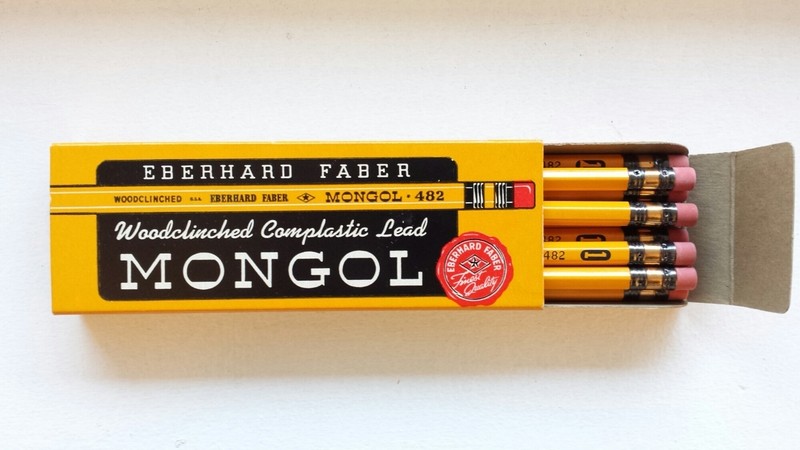 I have no idea what “Flexible Lead” means, or why colored pencil lead should be flexible. 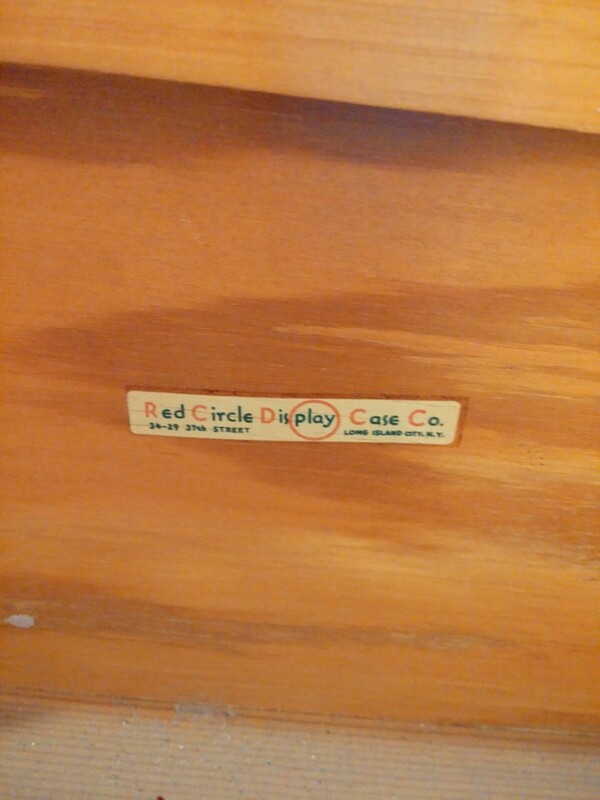 Must look into it sometime. 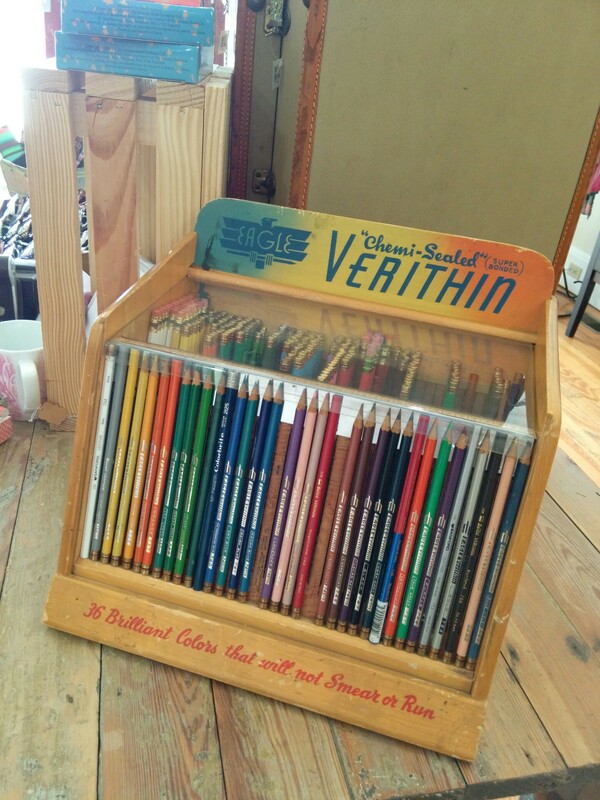 A reader has sent me some pictures of a wonderful Verithin display case. 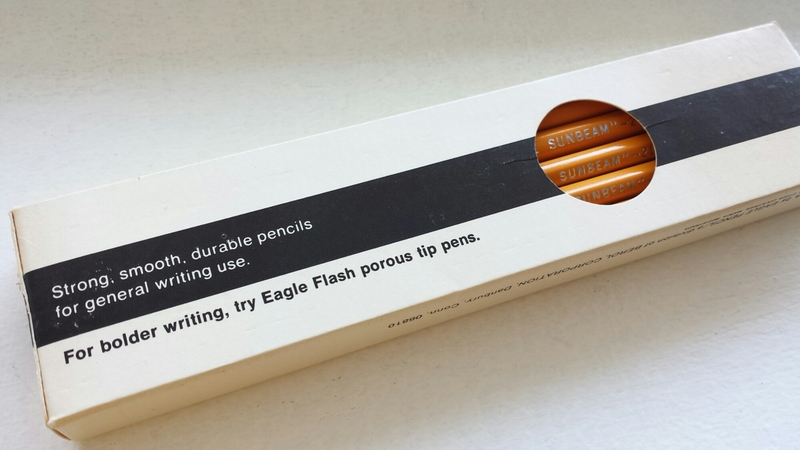 Thank you, Sue! 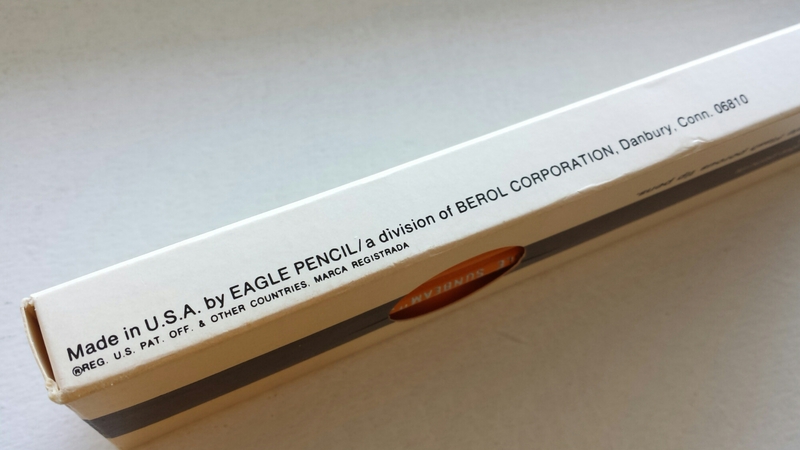 Among the many reasons for choosing (or not choosing) a pencil, one of the more important ones for me is the name. 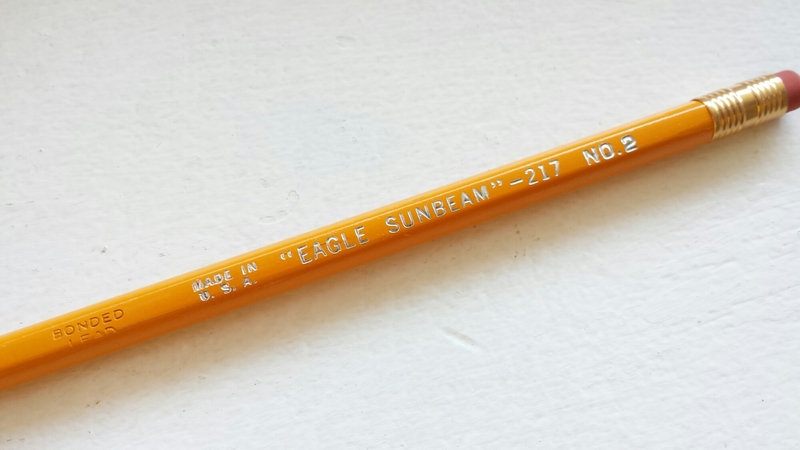 Sunbeam! 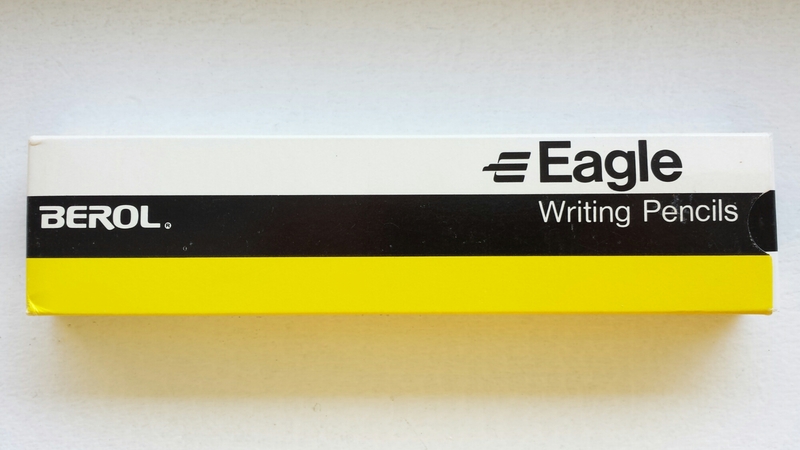 How wonderful is that for a school pencil? 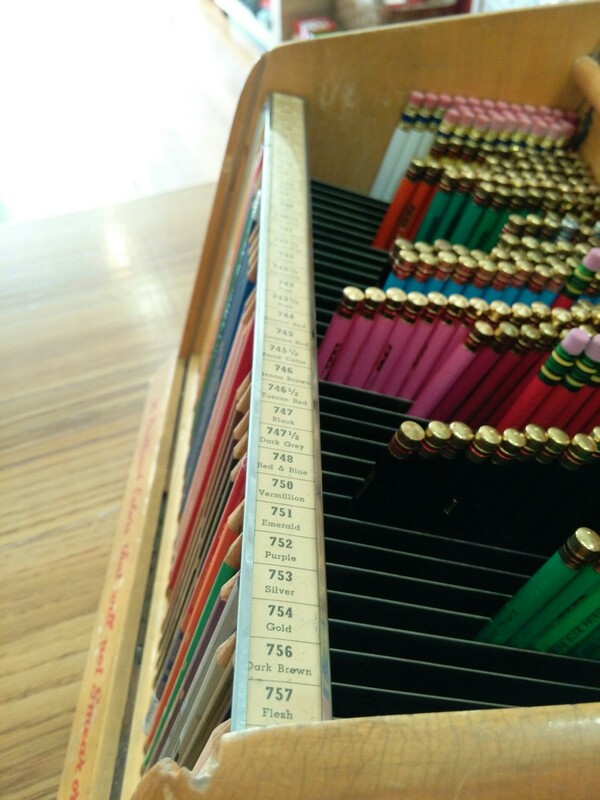 Doesn’t it immediately conjure up a vision of a light-filled classroom with children dressed in bright colors, chattering away? 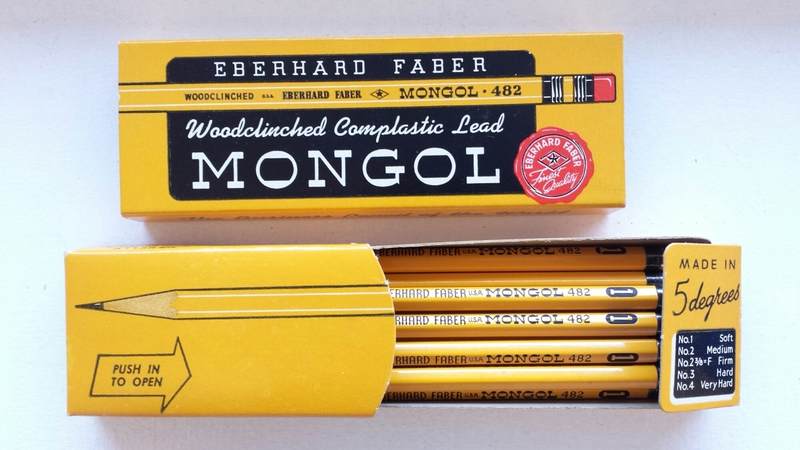 Even the lemon yellow streak on the box is endlessly cheerful. 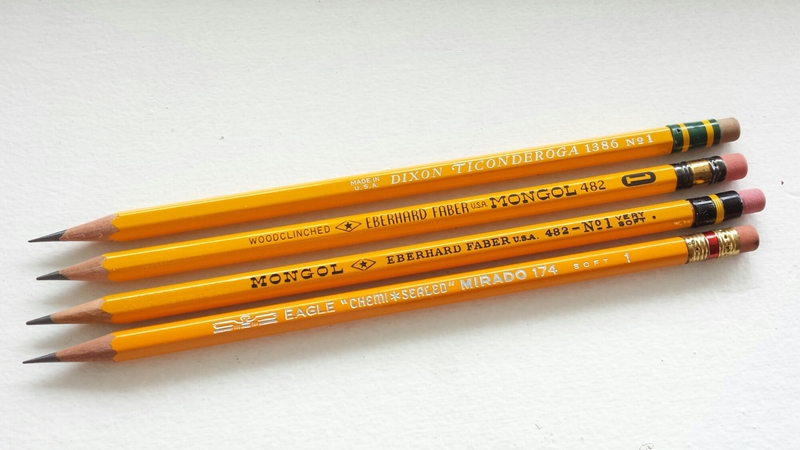 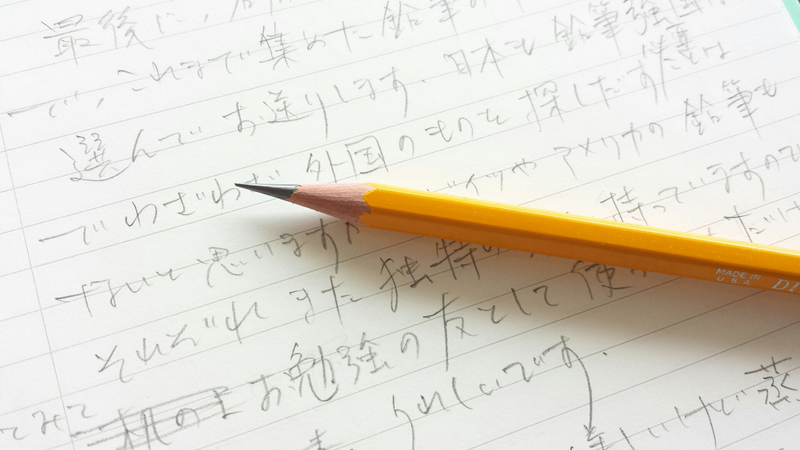 The printing on the pencil itself could be better, but the important point is that this school-grade pencil gives a favorable impression even alongside the more upscale Mirados. 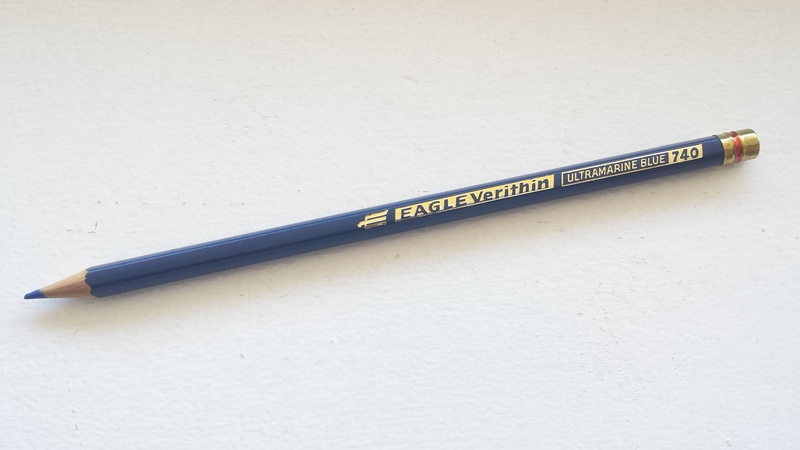 One reason I like Eagle pencils is that they have this creamy undertone to them, and although the Sunbeam writes slightly stiffer than the regular Mirado No. 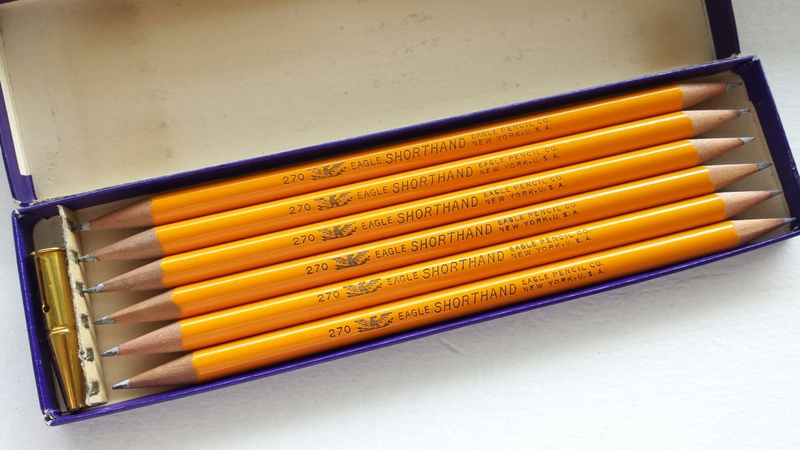 2’s, it too has that magical touch. 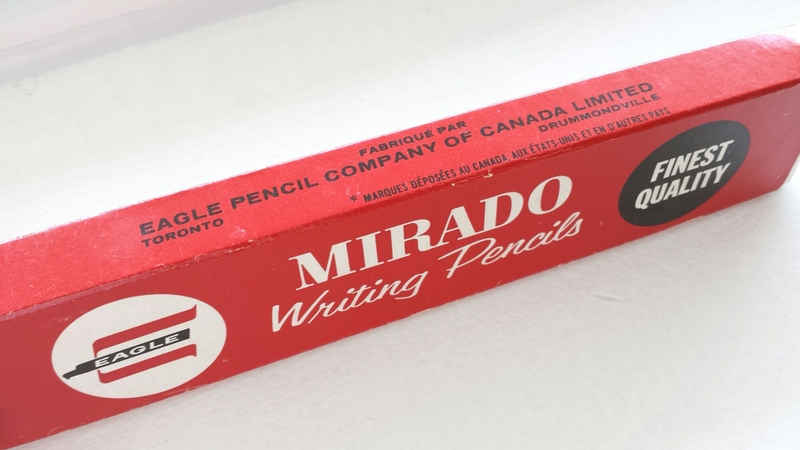 Yet another Canadian version joins me on my Mirado journey. 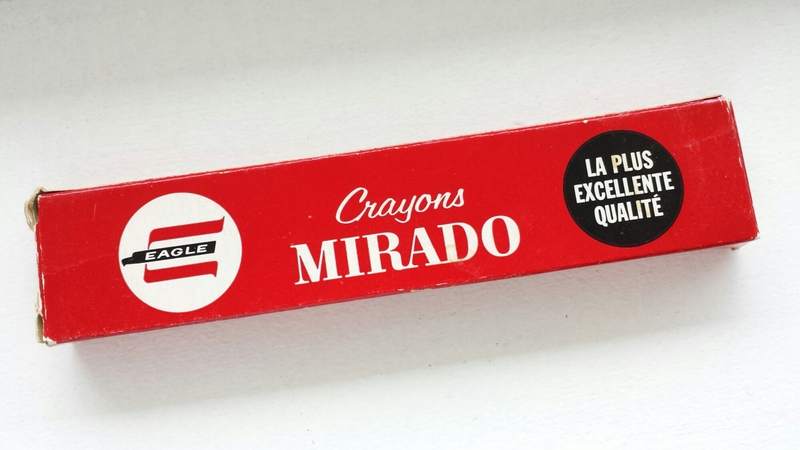 This appealing red box takes only ten pencils instead of the usual dozen, and is printed in both English and French. 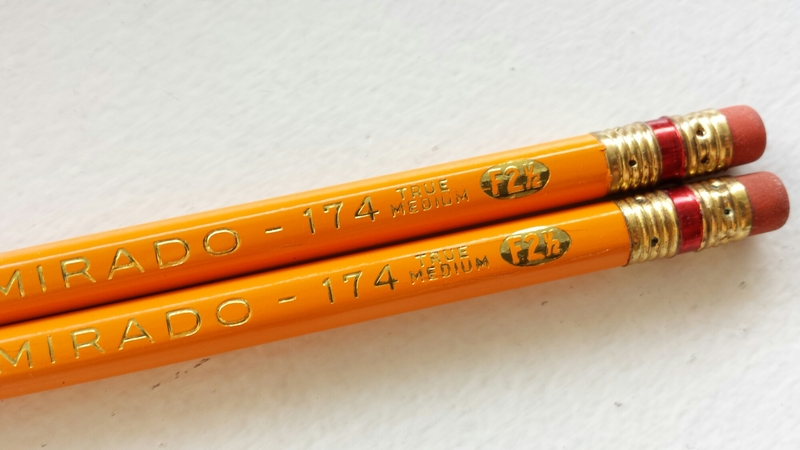 I especially love the way the degree is stamped, along with the two-tiered “true medium” designation.